expanded in 1913, 1923, and 1928.
shopping center, to which it was directly connected. Such a nice store. Macy's and Bon Ton don compare! I worked at Midtown and Marketplace and still miss the people and the store! I worked in Geneva, Eastview and Long Ridge. Met my husband in Geneva - got engaged in the stock room! (SO romantic! LOL) Many good memories of people and parties and Christmas rush season. It will never be this way again, i'm afraid. The Eastview store will soon begin to be renovated/rebuilt into what will become a lavishly-appointed, upscale nationally reknowned retail store whose venerated,famous name will soon be revealed to the public sometime in the next few weeks. I,too worked for McCurdy's, in their downtown Flagship store in 1968 in the Boys department on the Third floor while in school. I was thrilled to take the vast majority of my little paycheck & save it in order to gift my parents & little brother with fine clothing & exquisite, henredon furniture for our family. I always derived the most pleasure by GIVING to my loved ones rather than for just myself. They were thrilled knowing I sincerely cared for them. My favorite part of downtown McCurdy's was the Book Department,Bakery & Counter Restaurant found on their granite-paved Main Floor. Their whipped cream cakes,French pastries & Almond-paste tea cookies were always freshly baked & tasted excellent! Their sister "Fashion Specialty" store, the very elegant, venerated B.Forman Co., a four story Rochester version of Bergdorf Goodman, had it's own Dior Boutique, exquisite designer fashions of the highest caliber,deeply-golden-foil covered gift boxes, a home gift gallery that would satisfy & astonish the biggest design snob, & mens & childrens departments that endlessly delighted!The store displays & advertising were as sophisticated as any Manhattan stores,if not even more so! It was a very stylish French Deco limestone building gold elevator door,gold entrance doors,with marble & limestone main floor paving,bronze Louis XVI glass Vitrines,high ceilings, French inlaid wood panelled portals, a main floor designer shoe department so elegant(25' ceilings,heavy crown & wood inlaid wainscot paneling, huge white carved wood chandeliers with yellow shades,built in banquettes & Louis XVI white fauteil chairs) it would make any Nordstrom look like an airport waiting room!! I WORKED AT MC CURDYS FROM 1950 TO 1957 AS ASST BUYER OF BOYS DEPT. AND THEN HOUSEWARES DEPT. THEN I LEFT TO LIVE IN CALIF. I have recently come across a beautiful coat labeled B. Forman Co. Rochester, New York. I have been trying to do a little research on the brand but I cant seem to come up with much. The little information I have found on the brand has just left me wanting more!! I do believe that this coat is over 75 years old.... if anyone can provide me with any information I would greatly appreciate it. This item may belong in a museum. The coat is being very well taken care of and is in beautiful condition. BForman was bought out by McCurdy’s in the 90’s. It started as a tailor shop in early 1900’s. It evolved into a high end woman’s clothing store. Benjamin Forman was an Austrian immigrant/ tailor. They made beautiful clothes. I've only just stumbled across this site, so my reply comes a few years after you posted your question. I grew up in the Rochester area when Foreman's was still an important local store. Yes, it was considered to be quite upscale. The original store must have been in the city, but I remember them best for the beautiful two-story store they built next to Pittsford Plaza. The secret me story was open in the center, overlooking the first floor from all sides. 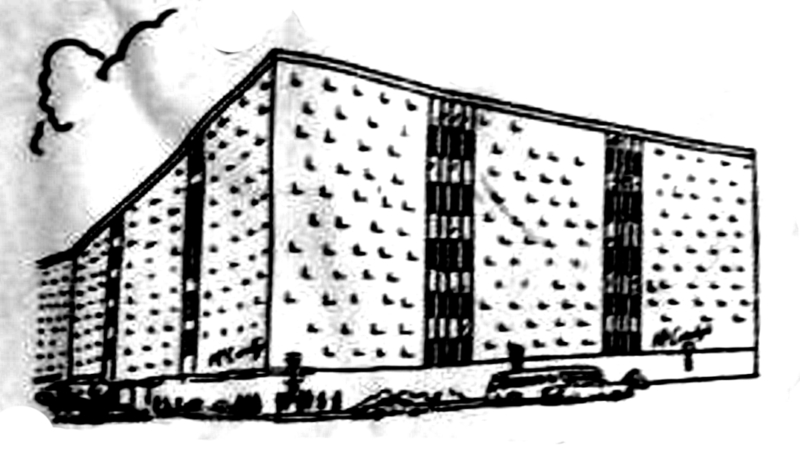 When Foreman's closed there, Barnes & Noble booksellers bought the building and they kept the floor arrangement, with the two-story open center. B&N liked the look so much that they adopted it for future stores. Our local B&N store in southeast Michigan looks just like the old B. Foreman store. So, if you want a taste of Foreman's, stop by your local Barnes & Noble! 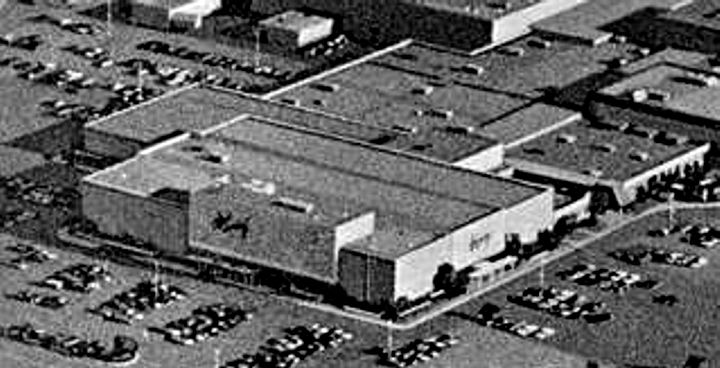 B Forman was a specialty department store in Rochester New York. I will be adding an exhibit on the store soon. You might wish to search the newspaper pages at fultonhistory.com where you will find many Forman ads. I remember the Geneva store. I wrote my very first check as an 18 year old kid when I purchased a sport coat there. It was a good store and a part of upstate NY history. 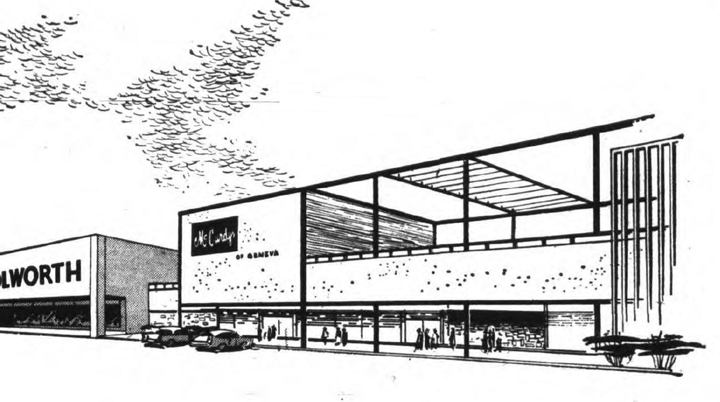 I worked at McCurdy's from 1973 until 1984, ending up as Store Planning Director. I'm grateful to the senior management group for letting me develop professionally and in letting me help with a portion of the company's direction. Gil McCurdy maintained a paternalistic environment for all employees and thanks to his interest in all areas of retail operation, not just the merchandise buying and selling, I had opportunities that I would not have had with most retail companies. Thanks for good memories and the foundation for a great career. 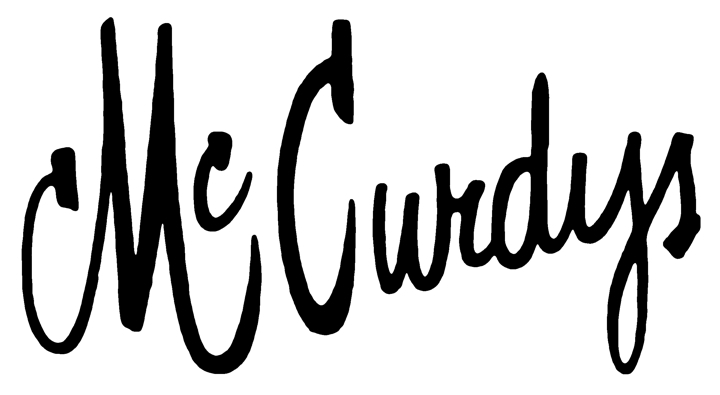 I worked at McCurdy's from many years starting around 1968 when I worked part-time in the toy department. By 1972, I became an Assistant Buyer to John Irish for Toys, Sporting Goods, Luggage & Cameras. Later I moved to the Northgate store where I worked as the supervisor of the Mens, Young Mens and Boys depts. A couple of years later, I moved to Long Ridge where I supervised the same departments and later also became supervisor of part of the Budget Store. I left McCurdy's around 1980 to help build the Computer dept for Leon's Typewriter and Supply in downtown Roch. Later I moved to The Computer Store on Monroe Ave, where I eventually started and ran their educational sales dept. In 1986, I abandoned the cold for South Florida, where I still live. My father was the buyer of the Carpet Dept and eventually retired from there. My brother also worked at McCurdy's as an asst Buyer and then as a Buyer for several depts. My Grandmother was the hostess in the Tea Room Rest for many years. Later she worked as the cashier at the McCurdy's Coffee Break Rest on the 1st floor. I remember fondly the opening of Midtown Plaza, Long Ridge and Eastview Malls. Coffee at the Midtown Terrace restaurant and lunch in the Oak Room or Garden Room. For us McCurdy's was a family affair and great memories of days long gone. Does anyone know if there are photos of the annual cristmas tunnel exhibit at mccurdys ? 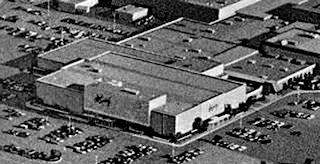 I worked at all the Rochester B. Forman stores from 1973 to 1994. I left 5 months before the whole thing went down. I don't care who says what, I think both McCurdys & Formans could have been saved if the right people ran the show. The wrong people were put in charge and look what happened. Does anyone know who Princes Daphne was. McCurdy's name is on a pair of shoes I have and there is writing saying that says Daphne last Princess. Any information would be kind and helpful! Thank You! The sounds like it was a very special place to shop. I believe McCurdy's owned B. Forman as well, as they both went away at about the same time. I HAVE 2 STORE DISPLAY FIGURES FROM EITHER MCCURDY OR B FORMAN STORES BEFORE THEY CAME DOWN..... THEY ARE ABSOLUTELY FANTASTIC...! WHO WOULD I CONTACT THAT WOULD BE INTERESTED IN PURCHASING THEM? Russ ..do you have the recipe for the Mccurdy chocolate cake? Baked goids there were heavenly. I have a beautiful fur stole that is labeled B. Forman. Is there anyplace I can check regarding the history of who made their furs? I have a monogrammed sterling silver tea set with McC on all pieces. My grandmother was Margaret McCurdy's business partner in interior design. I remember a nice lady who worked second floor coat department for years downtown, Lee Cavallaro. What a great salesperson and lady. I miss McCurdy's! I worked at Northgate in Toys and Furniture when I was in high school - got my very first paycheck from McCurdy's! (Those "payroll taxes" came as quite a shock!) Sometimes when I'm in today's department stores I the difference between them and good old McCurdy's hits me. What happened to "civilization"? Does anyone have their Cheese cake recipe ?? I would like to make it for my 92 year old aunt its all she talks about. Is there a place to read the history of McCurdy's especially the McCurdy family associated with the store? We are the McCurdy's of NJ and PA. Thank you very much for your help. I can update this site with material I have just found telling some of the history. 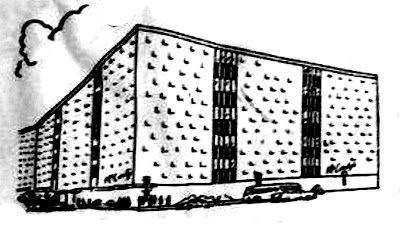 If you care to email me at bakgraphics@comcast.net, I can share some news clipping with you in the future as I extract the material to write a comprehensive history as I have done for a number of other stores. I LOVED shopping at McCurdy's! and their Bakery was so awesome! They used to sell cut out cookies about a half inch thick! I bought my very first expensive leather purse (Stone Mountain) there back in 1977. I still have it...somewhere! The window displays with the "live" manequins. When I got my first apartment. I bought my bed there! My sister-in-law bought her wedding dress there! I miss those days! McCurdy’s bakery was the best! They made our wedding cake in 1970; it was divine white almond white cake with almond icing. We especially loved the lemon cake made with lemon curd and toasted sliced almonds!! If anyone has that recipe, I’d really love it! Does anyone have a picture of the McCurdy's Holiday Gift Box top with the Xmas tree on it? I have the gift box. The top is torn. I loved McCurdy's Dept. Store in downtown Rochester...I would meet my mother there for lunch while I was working in Midtown Plaza...I loved their bakery and their very plain but delicious Maple Walnut Sponge Cake...I've been searching for a recipe to make that wonderful cake and haven't found it yet...If anyone knows the recipe...I'd love to have it if you could share it? I even ordered my Wedding Cake from their bakery in 1992...I miss the store but still have all my wonderful memories! 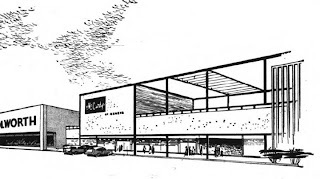 I worked at the midtown McCurdy's (1976-1978) as a cashier/hostess at The Garden Room Restaurant. The Garden Room was located on the 2nd floor, next to the Oak Room, that was a preference for the business men of Rochester. In The Garden Room, there was a lovely fountain in the middle of the restaurant. The menu featured everything from fruit cups, shrimp cocktail, sandwiches, soups, to steak and fried shrimp dinners. And also wonderful desserts. The dessert that was most popular in the restaurant was their amazing cream puff pastry, which was a huge cream puff filled with vanilla ice cream and topped with hot fudge. The restaurant also featured fashion shows, and for the children, yearly Christmas and Easter breakfasts with Santa and the Easter bunny. One year I was lucky enough to be appointed the Easter bunny in the show which featured Miss Rita from Romper Room. (she was a magical person). Another year I was Santa's elf. Mr. Salerno was the manager of both the Garden Room and Oak Room restaurants. He was a hard worker, very kind, and very fair. Mr. (Gilbert) McCurdy was a towering man, who exuded quiet authority. I remember being surprised to see him waiting in line along with his employees at the security desk where we were required to have our packages checked before punching out for the evening. Being only 18 years old when I started working there, I remember feeling offended to have my purchases checked before I caught the bus home to my apartment, until the night that I saw Mr. McCurdy in line in front of me, and he had his own packages checked before leaving for the night. The candy department at McCurdy's was legendary, and I'll never forget trying a chocolate covered pretzel for the first time there. The cakes, pies, cookies and pastries in the bakery were amazing. I bought my first bottle of perfume there, Jontue, and wore it on my wedding day. It had just come in, and the girls were giving out samples of it. I still wear it today. McCurdy's had a strict dress code for their employees, which included requiring women to wear stockings with their dresses. We had to be well groomed and our clothes in line with current fashion. 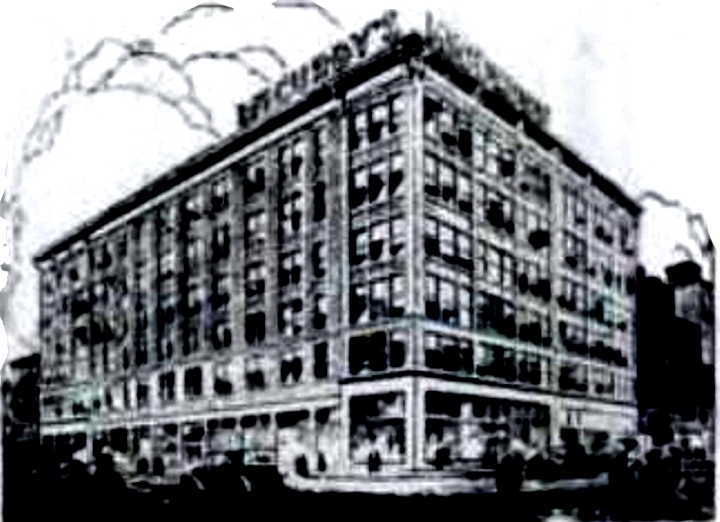 The McCurdy's generously gave each employee yearly allowances for clothes that we could buy at deep discounts, and if the item happened to be on sale, the discount came after the sale price. McCurdy's will always hold a very special place in my heart, not just for my experiences working and shopping there, but also because it is where on my 20th birthday, my boyfriend picked me up after work and proposed to me. We are about to celebrate our 40th wedding anniversary. I will always miss McCurdy's & Co. and will always treasure my memories. Loved the bakery's Danish coffeecakes - where did all the recipes go when they closed? I recently moved into a house with some things left behind and stored. I came across a brown mid-length/long fur coat with a McCarthy tag on it. It has been stored in a zippered dress bag. I'm looking to get some history and saw there mat be some museum or display of some sort.....if they are interested, it's theirs.